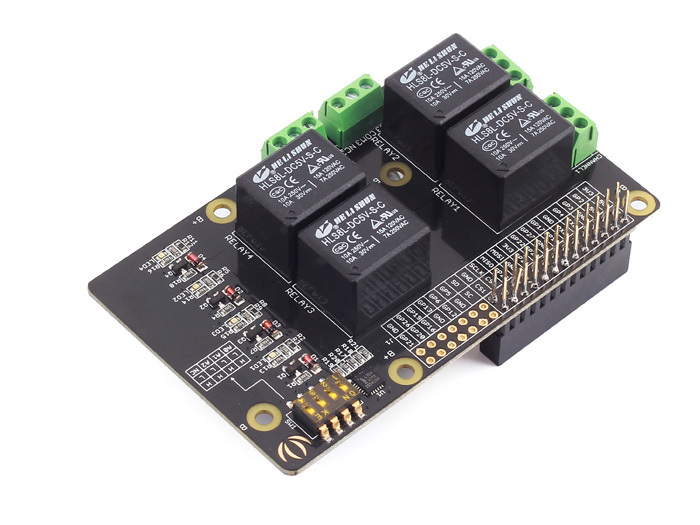 The Relay Shield utilizes four high quality relays and provides NO/NC interfaces that control the load of high current. 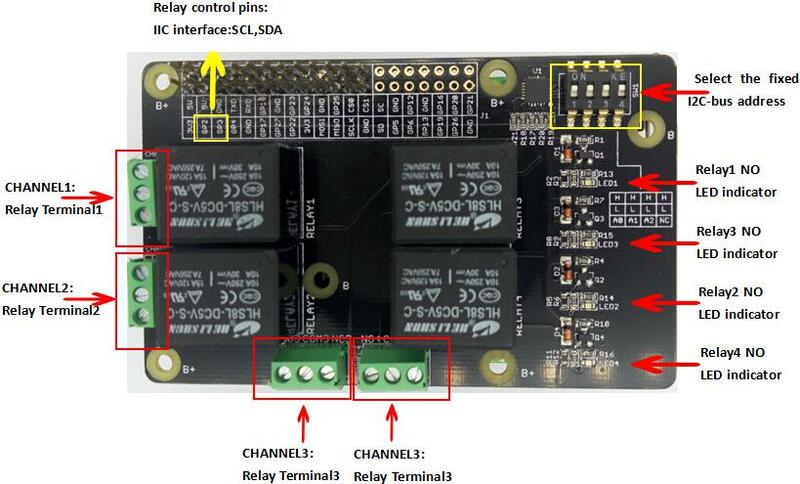 Which means it could be a nice solution for controlling devices that couldn’t be directly controlled by IIC bus. Standardized shield form factor enables smoothly connection with the Raspberry Pi . The shield also has four dynamic indicators show the on/off state of each relay.